Cath attended Sancta from 1979-84 and studied Science/Economics at the University of Sydney. She is a chartered accountant and is the Principal at Pitcher Partners Sydney. Whilst at College, she was the Senior representative and Assistant Treasurer. A few years after leaving College, Cath accepted a position on the College Council, which she has held for the past 23 years. 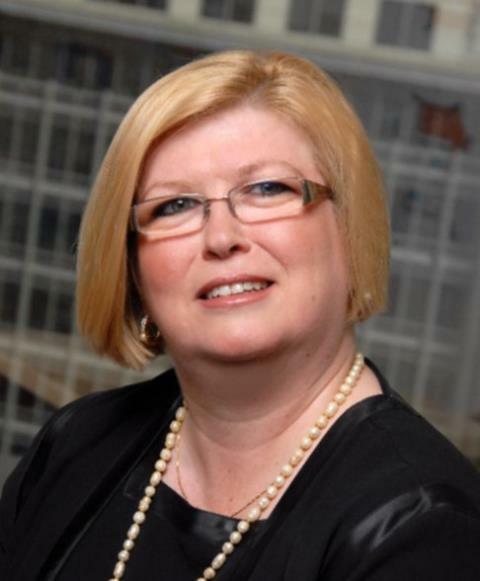 Cath is head of the Finance Committee and offers outstanding dedication and attention to the role. She is unfailingly accurate and timely in her work and team commitment on the Council. Cath is also a Director of Sancta Sophia Building Limited and played a significant role in the planning, financing and development of Graduate House which opened in 2014. Joan attended Sancta Sophia College for one year,1965 and has spent her adult life advocating for the rights of people with disabilities. Joan graduated from The University of Sydney with a BA Dip ED in 1969 and later a MA in English Literature in 1984. Following her graduation, Joan taught in schools for three years, before a car accident in 1971 left her a quadriplegic. After a year’s hospitalisation, she returned to teaching, the first classroom teacher in NSW to use a wheelchair. 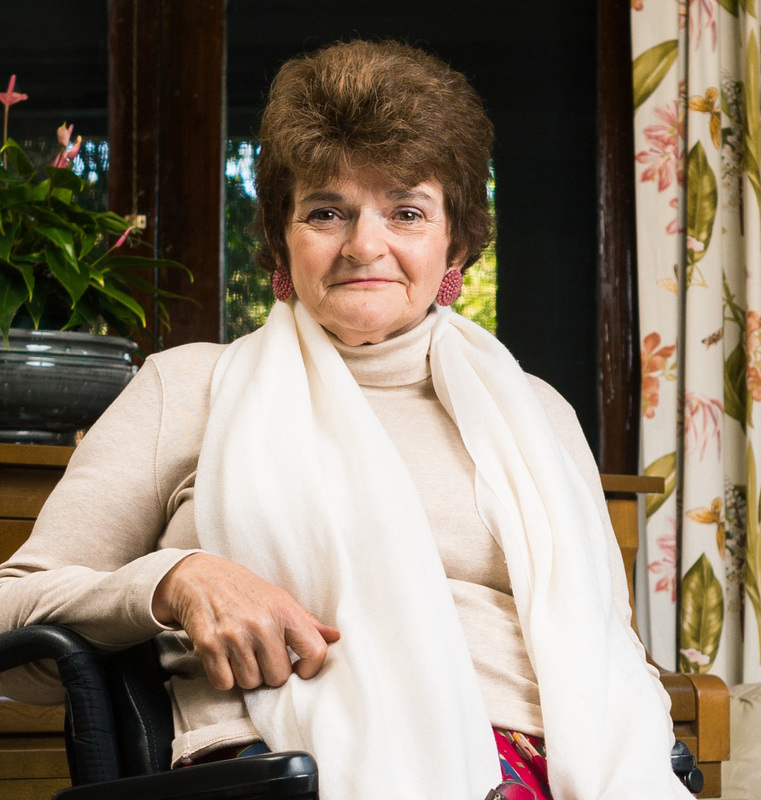 Joan became active in disability organisations in the late 1970s and in the burgeoning disability rights movement, connecting with other people with disabilities who were impatient for change, not only in their local communities but at the state and federal levels. This new movement was revolutionary in so far as it was campaigning for the human rights of people with disabilities, rather than the traditional medical and charitable approach to people with disabilities. For over three decades she has played a prominent role in the birth and development of Australia’s disability rights movement especially as foundation editor of the magazine “Quad Wrangle” and later board chairperson for the Australian Quadriplegic Association (now Spinal Cord Injuries Australia), NSW state president of Disabled Peoples’ International (now People with Disabilities Australia) and a founding member of Women with Disabilities Australia. She has represented DPI Australia at the United Nations in New York. Joan worked as a senior policy advisor on disability for the NSW Department of Health and as a teacher/consultant to students with physical disability in TAFE NSW. She is dedicated to promoting the independence, dignity and full participation of people with disabilities in all aspects of community life. Joan has been awarded an OAM for services to people with disabilities, a high commendation for her writing in the Australian Human Rights Awards and an Australian Achievement Award for writing on media portrayal of disability. Joan is currently being honoured by the Museum of Democracy as one of nine leaders in Disability Rights in Australia. Professor Duncan attended Sancta from 1986-1989. Professor Duncan graduated from Sydney University in 1992 with Bachelor of Medicine, Bachelor of Surgery (Honours Class 1). Professor Duncan also holds a Fellowship of the Royal Australasian College of Physicians (Endrocology) 2004 and a Doctor of Philosophy, The Open University, in collaboration with The Institute for Molecular Medicine, University of Oxford, for a thesis titled, “The Genetics of Osteoporosis”, 2002. Professor Duncan is currently Eminent Physician, Consultant Endrocologist and Senior Staff Specialist, Royal Brisbane and Women’s Hospital and Professor of Medicine, School of Medicine, University of Queensland Diamantina Institute and University of Queensland Centre for Clinical Research, Faculty of Health Sciences, University of Queensland. 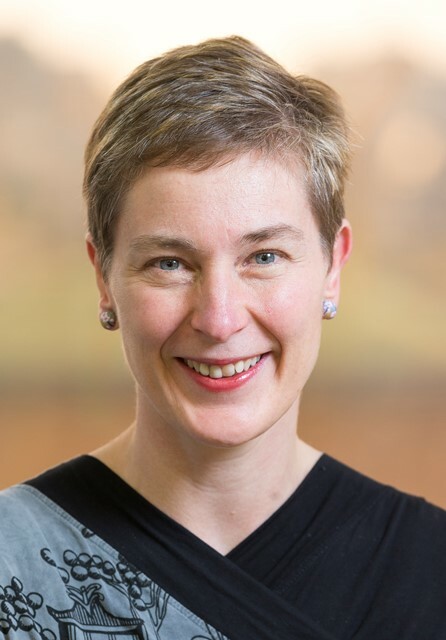 In addition to Professor Duncan’s clinical and teaching responsibilities at Royal Brisbane and Women’s Hospital, she is building the department’s research capacity and academic profile. She has secured research funding of over $2.2 million, has been published in 28 papers over the last two years, and has established four clinical trials. Professor Duncan has published multiple research papers in the area of osteoporosis (the most common bone disease world-wide) and skeletal dysplasias. She is particularly interested in translating the genetic revolution into clinical practice. Most recently, Professor Duncan has been awarded Osteoporosis Australia Philip Sambrook Award for Outstanding Early Career Researcher, 2013, Australian and New Zealand Bone and Mineral Society Kaye Ibbertson Award, 2012, Endocrine Society of Australia Mid-Career Award, 2012 and Clinician Researcher of the Year, Australian Society for Medical Research (Queensland), 2012. Professor Duncan has developed cutting edge approaches to genetic research that have led her team to identify the causes of several bone diseases. Professor Duncan is considered a leader in bone health. Her research, teaching of doctors, promotion of bone health both nationally and internationally, and extensive involvement with organisations that raise awareness of the importance of bone health, including Osteoporosis Australia, makes her a leader in her professional field. 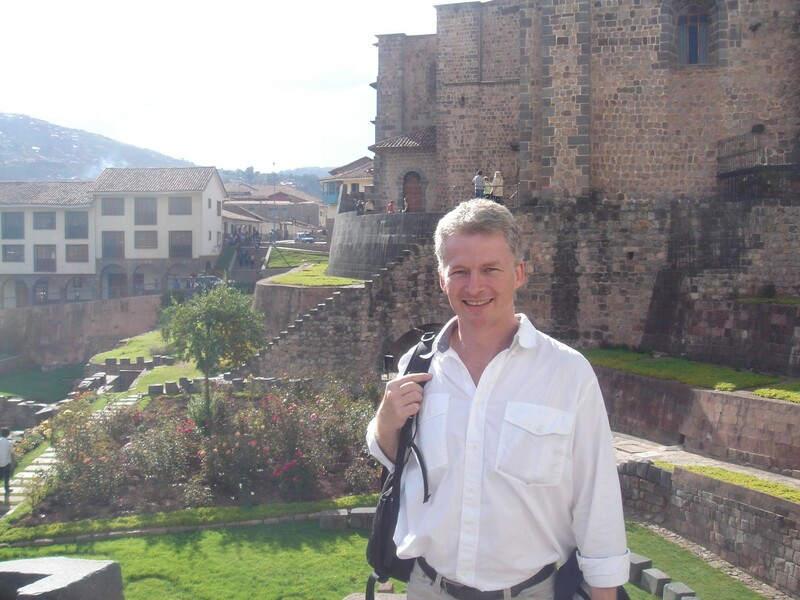 Tim was a graduate student at Sancta from 1990-93, completing a PhD in Neurophysiology. He is the Director of the Quadriplegic Hand Research Unit, Royal North Shore Hospital and commenced as the Paediatric Rehabilitation Fellow for the Sydney Children’s Hospital Network in 2015. Whilst here, Tim was interested in the manipulation of the nervous system using electronic devices (such as, for example, cochlear implants and pacemakers), and so his neuroscience research PhD involved the training of the nervous system with electrical pulses. Dr Stack attended Sancta from 1947-1950. Dr Stack studied medicine at the University of Sydney, graduating in 1956. After marrying she moved to Darwin with her young family in 1961 where she was one of only two private practitioners. In 1969 she was invited by a local politician to be part of his team for the Darwin City Council. Dr Stack was elected as an alderman and continued to practice medicine and raise her family with her husband whilst working for the people of Darwin. Disaster struck Darwin on Christmas Eve in 1974 when the city was decimated by Cyclone Tracey. Dr Stack describes wading through “six inches of blood stained water” which had flooded the hospital’s corridors. She found 500 people waiting for her needing treatment. Ella describes the hospital been at its wits end, “they were trying to get enough power to boil the water to sterilise the various things they needed in their surgery.” With so many displaced and injured people, Darwin High School was converted into an emergency evacuation centre. It is at this school that Ella took on the role of Chief of the Emergency Clinic. In the first eleven days, 11,000 evacuees passed through Ella’s clinic at the High School and they provided up to 15,000 meals a day. It was also at this time that Ella along with other community members established the Darwin Disaster Welfare Council. Out of this group in later years, the Northern Territory Women’s Advisory Council was born. Ella became very involved in the reconstruction of Darwin and was elected Mayor five months after the cyclone and a Member of the Darwin Reconstruction Commission. She was directly involved in the development of a new building code for the city to prevent such devastation occurring again. She became the first Lord Mayor of Darwin in 1979 when Queen Elizabeth II created the Lord Mayoralty of the City. Within the same year she was made Commander of the British Empire for services rendered to the people of Darwin immediately following Cyclone Tracey and during the reconstruction of the city. In 1980, Ella was appointed to the National Women’s Advisory Council; the key authority developed for advising the Prime Minister on matters of importance to women and joined the Department of Health of the Northern Territory as the first Assistant Secretary of the Division of Aboriginal Health. It was the first Division devoted entirely to the health of Aboriginal people. Later she became Secretary of the Department of Health of the Northern Territory. In 2011 for International Women’s Day, Ella was honoured by the Northern Territory Government for her instrumental role in the rebuilding of Darwin.